Rugged Xeon servers gaining momentum - MilDef, global supplier of rugged military electronics. With the release of the CS1100 series earlier this year, MilDef offers a unique rugged Xeon server series in small form factor. With two processor options, from 8 to 16 cores, and up to 128 GB RAM, the market interest has been strong. 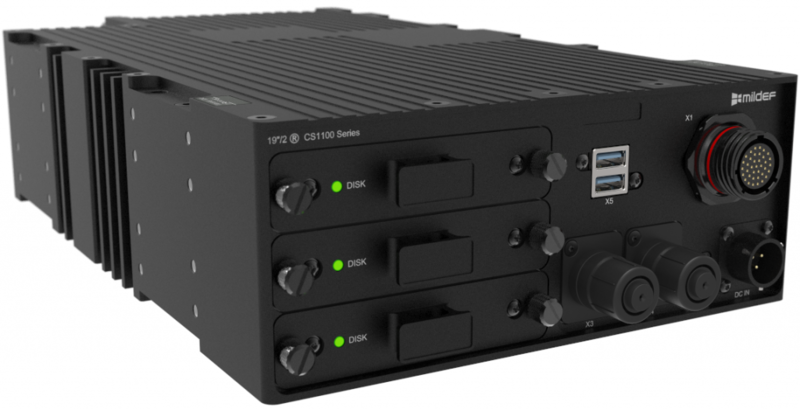 The increasing use of virtualization in military applications, combined with the constraints on unit size, makes CS1100 a perfect fit for many scenarios. Several customers in NATO countries, both in Europe and North America, are already using the CS1100 series in vehicles, peli cases for mobile applications, and in containers. Like all 19″/2 products, the CS1100 series has a flexible design made for customization. Standard options come with military connectors (CS1101) and sealed industrial connectors (CS1121). All designed for rough environments and compliant with the relevant MIL-standards.